Posted on December 2, 2013 by Matthew J.
Clark and Tami Bowen are the owners and operators of CB’s Nuts, a purveyor of all things nutty. 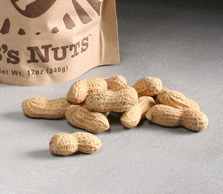 Their addictive roasted peanuts and pistachios are featured in several of our gifts. A diligent pursuit of the perfect roasted peanut has brought Clark Bowen (the CB of “CB’s Nuts”) from a stand outside Safeco Field in Seattle to his current processing facility in Kingston, Washington. 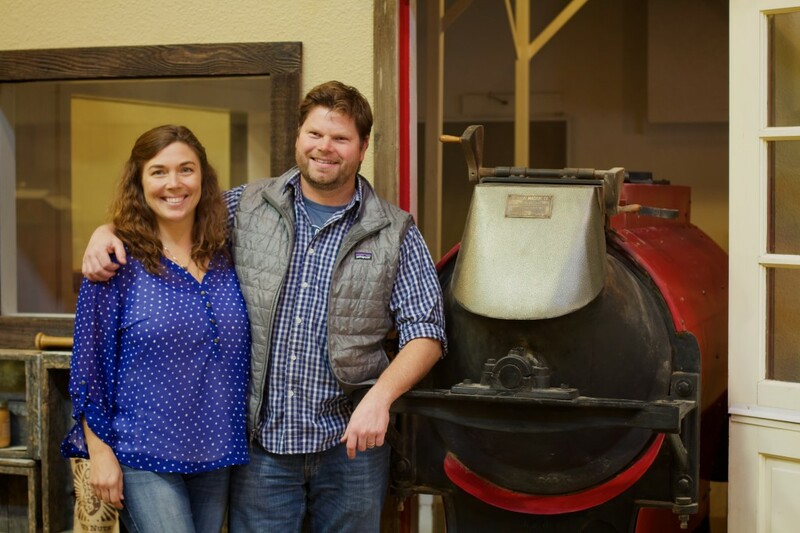 Clark and his wife Tami continue to expand their business but their dedication to carefully sourced and cultivated products comes through in every nut. We recently spoke to the Bowens about their humble past, the ethos behind their delicious nuts, and their goals for the future of CB’s Nuts. Would you tell us the story behind your business? Clark Bowen (CB): Growing up, peanuts were my favorite food, because we had fresh peanuts. There used to be a peanut company based out of Oregon, but they moved their operations. As an adult, in my late twenties, I really noticed a quality change and grew frustrated with it. I followed the Seattle Mariners for one summer and was on the East Coast. There was a gentleman who brought some fresh peanuts out of Virginia and would sell them outside Camden Yards in Baltimore. So I had these fresh peanuts and they just absolutely blew me away. I asked the guy to send me some and he said he didn’t do mail order. He just sold them prior to the game. After that, my whole mission was to try and find these peanuts. But everything I found on the internet or mail order or catalog just did not live up to that quality. So the mission became to make them for myself. I wanted salted peanuts so I got into this whole brining process, which is really unique and is not easy to do. This hobby quickly started to require a pretty significant investment. And that’s right around when I met my wife. I was selling outside the ballpark—I set up a stand outside Safeco Field. I would roast peanuts for the ballgames to share with those savvy to what I was doing. I could walk into the game at the second inning with fresh roasted peanuts for myself and money for beer. That was the impetus. But one thing led to another. The Seahawks called and Tami thought that we should be doing this for a living. Could you tell us a bit about the process of brining and roasting the nuts? CB: It involves a sea salt and water brine. We have to take the peanuts and actually submerse them in the brine and create a vacuum, to get that salt through the shell of the peanut. We have a specific salinity and a specific pressure. Then they’re dried down. It takes about an hour and a half, roughly. The moisture is evaporated, the salt is left behind. And from there we can put them in one of our antique roasters. We have a roaster from 1919 that we had totally reconditioned—it’s a beautiful machine—so we put them in there and about 45 minutes later we have a great fresh-roasted peanut. You slow roast your peanuts? CB: Correct. Nice, long, roasting curve. Generally in-shell peanuts are going to roast about twenty minutes and we’re taking it up to forty-five. Do you think that’s what sets you apart from competitors? CB: Yeah, the slow roasting process and also the education, hopefully to our distributors and the suppliers, that we really emphasize a fresh product; we want to get a fresh product out there. We look at it like produce. It’s perishable. And I think having good partnerships helps to differentiate us, but certainly it starts with the quality of the peanut that we procure and then the quality of our process all the way through. Where do you source your peanuts? 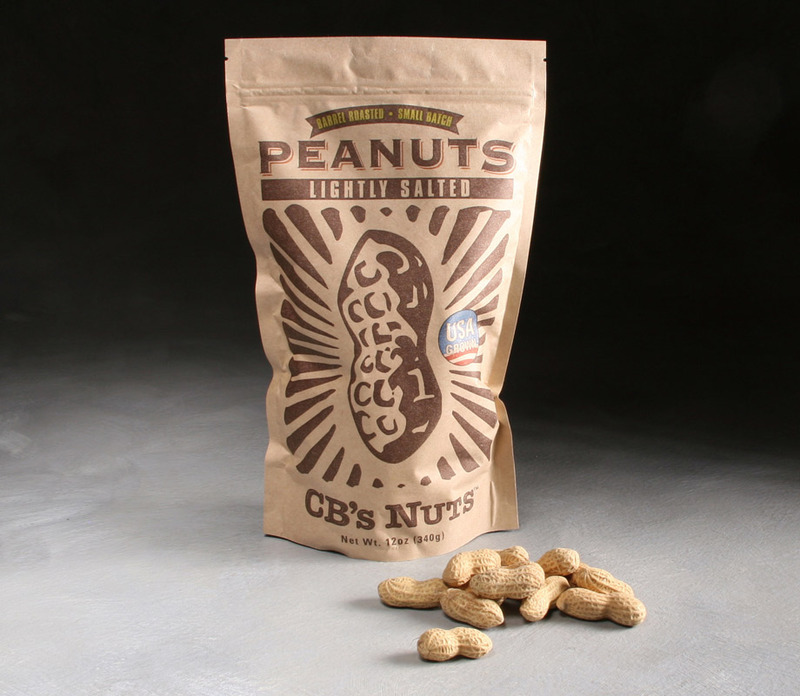 CB: Our peanuts are sourced from the Southwest, mainly Texas. It’s a much cleaner peanut because of the dry conditions there. And what type of peanuts do you use? CB: It’s a jumbo Virginia in-shell varietal. You recently attempted to farm peanuts in Washington. CB: We did a six year project with Washington State University. The east side of the state is very dry. You can grow peanuts here, but we have too much of a springtime, May-June soil temperature fluctuation. It isn’t something that we could invest in sustainably over time and be guaranteed a crop. It could certainly be done at a hobby level, but we were looking to do it at a commercial level and it’s not sustainable. Our pumpkin seeds are, though. We have a great pumpkin-growing region here and we continue to expand that growing acreage that we contract for specifically. You also sell a hull-less pumpkin seed. CB: Yes, that’s the Styrian seed. We have the first commercially-available roasted Styrian seed. It’s an 800 year old Austrian variety. What’s a good day a CB’s Nuts? CB: I think it’s been when we all have a great team environment here, everybody’s generally on a good footing and we’re working toward all common goals. Beyond that, I think a great day is when the sun is shining and we’ve got some fresh peanuts and some cold beer on a Friday. What are the biggest influences on your product and business? CB: I think having that vendor in Baltimore was certainly that eureka moment for me, not necessarily from an entrepreneurial standpoint, but just needing to go after something, sensing that it could work as a business. From an entrepreneurial standpoint, I know that they’re such a massive, giant company but I really enjoy the early stories of Howard Schultz and Starbucks and so much of that early passion—it’s become such a cliché word but it’s so true—that drive to deliver a quality product and try to share it with the world and that inspired us, that you could take kind of a common product and make it better. Tami Bowen: And educate people about how it can taste better, why it can taste better. A lot of people have a preconceived notion about what peanuts taste like; they’ve had a bad one at a steakhouse that had been sitting out for two months, and now they think that’s what peanuts are. So a lot of our challenge is reaching the people who think they already know what peanuts taste like. Do you have a funny story from CB’s Nuts? CB: It’s such a glimpse into a small entrepreneurial company early on. We secured our first big orders with the Seattle Seahawks for their suites at Qwest Field and we were set up in a building that was just down the block. What we would normally do is take our roaster, set up, and roast and bag right there on the street under our tent to deliver fresh to the Seahawks. Well, the freight elevator broke. And so we were stuck on the third floor with something like a thousand pounds of peanuts to roast—this was when we were doing 50 lb to 75 lb batches—so I hired a group of guys to try to get it down the stairs and I think we finally made it to the landing of the second floor when I realized it was just not going to happen. So we hauled the eleven hundred pound machine back up. Roasting peanuts is a really dusty operation, but we just decided that we had to do it right there in the hallway. I can remember the look on my landlord’s face when he walked in Monday morning. He saw the room and everything covered with peanut dust. But I think we showed that resiliency. It was pretty nerve-racking at the time but looking back now it’s pretty funny. Do you miss those days at all? Where you had to scramble to pull things together? CB: No. Not at all. Where do you see your business a year in the future? CB: I appreciate a company like yours. We love the vendors that appreciate a quality product. And to continue to move into that realm of quality is so important to us. Somewhere out there, there’s got to be this group of in-shell peanut aficionados that I just haven’t figured out quite how to reach yet. We’ve reached many of them, but just to continue to let people know and attract them as customers. Best in-shell peanut in the world—hands down. When you get these peanuts fresh, that’s what they are. And partnerships with businesses like Manhattan Fruitier are a great way to go about reaching new customers. CB: Right, and then they tell their friends and so on. Our shipping business has become pretty significant simply because of that connection. You recently campaigned for the passage of Initiative 522 (which would have required labeling on retail foods to note any genetic engineering or manipulation of the ingredients. ), which unfortunately did not pass. There was a great deal of spending on the campaign. CB: $22 million for the no and $8 million on the yes. Basically outspent three to one, with really politically-savvy and confusing ads. They put out all kinds of advertising on television just to confuse voters. Nobody knew what they were voting for. Big business won unfortunately. Tami: They made a claim that it was going to really affect small business most, which of course draws on people’s sympathies, and that was probably one of the most confusing parts. Do you think Washington will try again to get similar legislation passed? Tami: Absolutely. It’s just a matter of time. About the peanut image on your bag—the shaded area in the lower right corner has a little #1 hidden in it. Was that intentional? CB: It was an accident to begin with. Someone noticed it and brought it up and we thought, well, let’s just slip it in there on everything. Tami: Now it’s part of our branding, for sure. Matthew is a former customer service representative and occasional contributor to our blog.